I've been trying to pack my lunch/dinner more often recently because I've been staying at school all day instead of going home between my breaks. Most of the time, I just end up bringing a lot of snacks because I can't think of anything else besides the usual sandwich. Any ideas would be appreciated...the easier, the better =) Don't worry...I won't bore you w/ what I bring for lunch to school everyday. Just wanted to change it up! Turkey on whole wheat pita bread with some spring mix and a Laughing Cow cheese spread. I got the turkey from Fresh N Easy, and it was too salty for me. I would also stay away from their roasted garlic hummus and medium heat salsa. Another day, I brought some fried rice made with potatoes, frozen peas and carrots, and egg. Vacuum fried banana chips and honey wheat pretzels from Trader Joe's. These chips are sliced a bit thicker and are more airy than regular banana chips, but what's most notable is that the banana flavor really comes through on these on a whole new level. Don't get me wrong...I like the good ol fashioned banana chips too, but you gotta try these out if you're a fan. Their honey wheat pretzels are also a favorite of mine. A custom made trail mix of fresh roasted peanuts, walnuts, pecans, almonds, pine nuts, chocolate chips, and raisins. I love the combo of raisins, chocolate, and peanuts. On the other side we have some baby carrots, grape tomatoes, and sugar snap peas. When was the last time you had a Capri Sun? I liked strawberry the best. You'd freeze em and eat it like a slush. Or you'd take the straw and poke it through the bottom instead of the top although I'm not really sure the reason why we all did that. I think I'll do that tomorrow for old time's sake. These are 100% juice though. Along w/ the standard granola bar. 6 more weeks until summer! Korean Fried Chicken that is. I remember a while back first hearing of this in a New York Times article. What's the scoop? It's the way it's prepared: deep fried once, break, and fried again, resulting in a thin crispy skin, compared to its American counterpart. W/ the big H-Mart opening a while back, it'd only be right for Diamond Bar to have its own KFC joint to boast about. Their menu is simple...mostly just their fried chicken w/ your choice of original, spicy, or teriyaki. I opted for the 6 piece spicy. A little over 8 bucks for 6 drumsticks. I thought those little specks were minced garlic at first, but they actually were just crushed peanuts. Verdict? There was a good amount of meat/drumstick, and it was prepared fine to get that nice thin layer of skin. But Kyochon definitely has a better recipe and way more heat for their spicy flavor, as Chicken Day's version was a lot sweeter. It was good, but when you advertise spicy, you gotta deliver on that promise. I think the price is a little high for some fried chicken, but I suppose that's only because I'm comparing it to K(entucky)FC, which I think is pretty damn good too. What Kyochon did not have when I went there because they ran out around 7 PM. Yea, I'm still not over that haha. Moo! (cubed pickled white radish) This is a staple when eating Korean chicken, and here they give you a small container for free. Cool vinegary radish to combat the heat although in this case, it wasn't needed. It could have sat out for a few more days to ripen, but still, at least I got some. Service was slow. I know these take a while to make, sincethey are cooked to order, but the sign said 15 minutes when it actually took 30, and the restaurant only had a few people in it at the time. -1 star for the girl not knowing how to run a credit card machine and for me finding out later on my bill that she had swiped it three times. Mistakes happen though...I was just annoyed that I had to waste my time going through the hassle of calling my credit card company. ...for Korean BBQ in the Diamond Bar area. So look out Ong Ga Nae! You better step your game up. Having just gotten paid, I took my parents out to Bohn Ga, which had just opened up a while ago and boasted of serving traditional Korean food. It is supposed to be some kind of famous restaurant chain in Korea, which they make clear with their various framed newspaper clippings put up all around the joint. They do it with charcoal here and not gas. Like many Korean restaurants, there is a service button available for your convenience. For those unfamiliar with this contraption, you simply push the button when you want your waiter/waitress, and he/she will magically appear. While being a godsend to patrons, eliminating the sometimes difficult time people can have trying to flag down your server, I am guessing it is a sound most likely hated by the wait staff. After placing our order, the waitress asked us if we wanted various leafy vegetable wraps (ssam) for $5. It's always nice to have this with your bbq, so we had to order it. A few minutes later, this came out. Goddamn. None of us expected it to be this big. It came with dandelion greens, red leafed lettuce perilla leafs, celery, endive along with other random things that I can't remember. Yes, $5 is a bit pricey, especially with this kind of stuff usually being free, although I have started to hear of other places charging for this. Still, you have to admit this is a lot. Even though we managed to put a good dent in it, it was definitely way too big for 3 people. A closeup of the vegetables. In the middle lay some hot hot peppers along with dashima. Haemool ssam jang (a sort of seafood soybean/red pepper paste dip) was also offered for $3.50 and was slightly bubbling when it arrived at our table. Normally, I don't think we would order these kinds of things, but since it was the first time here, we decided why not. As for what kind of seafood went into this, I wasn't really sure besides clams. It was nice to dip in the vegetables, but I'd be fine w/ just regular ssam jang. A light salad of mostly romaine and red leaf lettuce tossed in a light sesame oil dressing. Grated horseradish kimcheed. I'm not really sure what the correct word for this is, but often times, it will be packed alongside cabbage when making kimchi. 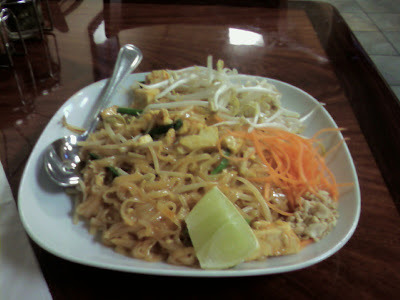 It had a nice sweet/spicy combo going on that I liked. Some Korean style pickles bathing in a sweet vinegary broth that was cooled in some thin pieces of ice. The banchan going left and clockwise: kimchee garlic shoots, squash with dried shrimp, and some sort of beendedduk (mung bean pancake). On the top right you can see some garlic grilling. You gotta have that garlic...so good. Same rotation: kimchee, spinach w/ tofu, fish cakes. There was one more thing I didn't get a shot of, which were some kind of shoots . Overall, the selection is kind of small, but if you take into account the different salads and the pickles, it was a good amount of stuff. My dad ordered the Dolsot Bibimbap ($6.50). A variety of different veggies including squash, carrots, onions, sprouts topped with a sunny side up egg. He didn't like it too much, saying they used too much pepper, which overpowered the rest of the flavors. Chadol Begi (Korean sliced brisket) $17.00. Thinly cut, you'd only have to put these on the grill for a few seconds before popping them in your mouth. Delicious. Marinated galbi $27.00/order. The price is almost the same as ChoSun Galbi in Koreatown, which I think is more closer to $30, so I was expecting some damn good quality meat. 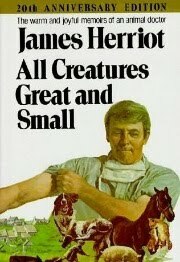 The portion was small, as the meat came out, wrapped around two bones. The verdict? The meat was delicious and tender and did not disappoint, offering very little resistance when chewed. I only wished that we could have gotten more. Still, is it worth $27? It's hard to really put a price on these things by itself, but yes, it is better relative to most of your typical Korean BBQ joints. The meats came w/ a special dipping sauce, which I didn't take a picture of. It was a red sauce, probably based on gochoojang, but there was so much ground pepper in it, it overwhelemed the rest of the flavors for me. I preferred just using the ssam jang. Shikhye, Korean rice punch, was served as dessert. This is one of the few things I didn't like there. The flavor was off and had a very weird aftertaste. The total damage? $76 including tip. While they do offer a bunch of dishes, such as galbi tang (beef short rib soup), bibimbap, nengmyung(cold/spicy buckwheat noodles), at very reasonable, prices ($6-7), the meat prices are at the other end of the price spectrum. Was it worth it? The meat was good and I'd come here again, but I wouldn't make a habit of it, simply because it's expensive. If you don't mind spending the cash, try it out, but if you're looking for quantity/your wallet is looking a little thin these days, I'd suggest going to an AYCE place instead. Service was great and helpful, and they changed the grill a few times w/o us having to ask. They also set up the kitchen so that you could see some of the chefs preparing the meat. It was strange for me to see men prepping the food. Even though this restaurant was opened up by a male chef in Korea, I don't think I've ever seen a guy cooking in a Korean restaurant kitchen until now. This is the bag containing all the leftovers from veggies we had gotten. While it was a large amount, I don't think I'd order this again unless I came with a larger group of people. Just took my final today and am done w/ my Saturday classes. Yoyoyoyoyoyoyos! On with the show. A once cherished watering hole of mine, but no more that I only went for happy hour, but since it had been a while, I decided to make another visit w/ some friends. Happy Hour (which you can kind of see in the background of the picture below) consists of $1 off all drinks/draft beers, $2 bucks off all appetizers, and half off all personal sized pizzas. If none of the beers that BJ's brews interests you, don't be afraid to ask what else they have for the season. They also have a small selection of bottled Belgian Beers, including Chimay and Gulden Draak. They've also added some new beers to their rotation, since I last visited, including one or two Rogue Ales, if my memory serves me right, along with their regular starters of Guinness and Lindeman's Framboise. They also brew their own Berry Cider (which I thought tasted horrible...like a diet berry Sprite) and Root Beer. Brewhouse Nachos. I used to LOVE getting this. I guess I just got sick of it from getting it too many times and always felt disgusted with myself the next morning with it still on my breath. But for old time's sake, I ordered them once more. It has lots of cheese, along with diced tomatoes, green onions and olives over tortilla chips that float on a small bed of their signature Piranha Pale Ale Chili. You can also ask for some jalapenos and fire roasted salsa, which I got on the side. A pretty good amount for 4 people to share. Overall nice to munch on while drinking, but I'm just jaded about these now. To get the specials, you have to be sitting in the bar area, which can sometimes get packed, especially Thursday nights. I've never really had any complaints about the service, and once upon striking up a conversation with the bartender, we were given some free chips and salsa. Woohoo! Happy Hour runs from 4-7 Mon-Fri and 10-closing Mon-Thurs (maybe Sunday too, but don't quote me on this one). 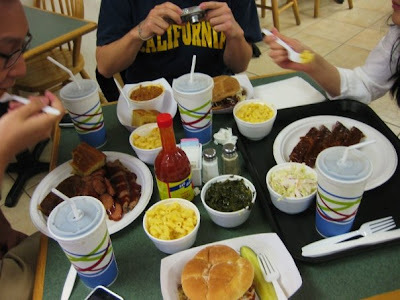 Planned another food outing w/ some old college buddies and chose to check out Scottie's Smokehouse BBQ in Orange. After another long day at school, I headed first to Yard House in Brea w/ some classmates and waited for my UCSD buds to arrive. 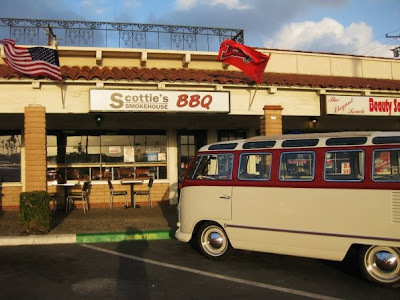 After a few drinks, we headed over to Scotties. We were still waiting for one more person, so we decided to head into the bar next door for some more drinks. It's Tuesday night, and it was time to party with a post midterm celebration. Picture taken from the young up and coming Jonathan M*****'s blog. We didn't wait long for the last Triton to arrive, and we were off next to to Scottie's. They serve St. Louis style ribs and smoke them over hickory and mesquite. I really don't know much about bbq, so that's all I can say about that. Apparently, they had gotten some publicity from the L.A. Times, and upon checking their twitter a few days ago, I saw that they had run out of meat once...at 7:30. Wanting to avoid another Kogi experience, I called in two hours before to place our order. They told me to come in whenever and would make our order then, so it wouldn't get cold/soggy. Our feast (Again picture courtesy of Jomo) Can you guess who I am? =) I got to take a little of this and that from friends' plates and especially liked the collard greens. Pulled Pork Sandwich topped w/ their BBQ sauce and cole slaw served on a wheat kaiser roll w/ a side of pickle. The pork was very moist and not dry at all. The bbq sauce was a little too sweet for my liking, but a couple shakes of hot sauce on this perked it up. The crisp pickle was money. I got the combo, which also came w/ a drink and choice of a side. I got the Brunswick Stew that also came w/ a side of Cornbread. When I asked what it was, he said that they pretty much put a bunch of stuff in there...corn, okra, tomatoes, chicken, sausage. It was a pretty good tomato based stew and very hearty. +1 star for it coming out very hot. I gave away most of the corn bread and nibbled on a small piece. I've never heard of Brunswick stew before that day, but doing some research, it seems to have originated in the Southeast. Peach Cobbler. With an ice cream scooper, he stuffed three dollops into a Styrofoam cup and topped it with whipped cream. The guy waited to give to this us when we finished our meal so it'd be warm. This was pretty darn good and hit the spot. It almost had the consitency of bread pudding and reminded me of the peach cobbler I ate when I went camping as a kid. There was some left over, and I got to enjoy the leftovers today. Still good. Maybe you're thinking, what's wrong with this kid? Why didn't he get the ribs or combo? That was my original plan, but I was already full from happy hour. I felt like I didn't even eat that much, but I couldn't wait until dinner, and having not had lunch, my stomach shrunk a bit. Next time though. Service was great. The guy was very friendly and let us stay and eat for a while even though they were closed. He also gave us an extra side of Mac N Cheese. +1 star. I know the last couple posts were half assed/not about food, but not to worry. My computer is back up and running, and I'm back on track. 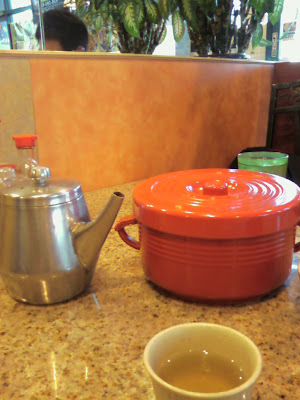 A few weeks ago, I met with my cousins in Costa Mesa to try a place called Anjin. Yelp users warned that there would be a wait, and indeed there was. We arrived at 6, and there were about 15 parties already ahead of us on the list. But we were going to wait it out. The nice thing is that you can write your phone number down, and they will call you when your table is ready. So we went next door to Hashigo Korean Kitchen for their $9 Kirin Pitchers, which is a good deal, plus I love Kirin on tap. We didn't order any food, but I saw that they offered Korean tacos. When I asked them about it, they told me they had just put that on the menu, which made me think they got it from Kogi. I wanted to try it, but we just waited it out for dinner. 3 pitchers and 1.5 hours later, I got the call that our table was ready. Sounds just like Gyu-Kaku, but they have gas grills, instead of charcoal. Our table was set up with our utensils and what not along with two sauces: peanut and some kind of sweet soy sauce base thingy. There was also a small container of minced garlic that you could add to your sauce. Having had our fill with beer, we ordered some large house sakes that came in a nifty bottle. Kimchi combo of cucumber, radish and cabbage. A must have for us to eat along with our meat! While the cucumber slices were a bit too salty for me, I really did enjoy the rest, and we ended up getting one more order of this later on. Whatever the top one was not. Medium sized scallops. 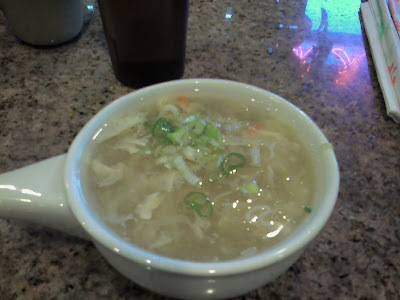 Only thing that we got that I thought was just ok.
Best deal of the night: spare rib soup for $6.50. They nicely bowled out 5 portions of this out for us, and I must say that it was a pretty good amount for your money, considering that the place is pretty pricey. The soup had a very rich beefy and somewhat spicy broth filled with an assortment of little goodies to enjoy. The star of the night: beef tongue. Delicious. I think we ended up getting 4 orders of this. I read several complaints about how the tongue was sliced too thin, but I liked it just fine. They give you a little bowl of this lemon sauce to dip the tongue in, and you really don't need much more than that. I forget what this was called...some kind of ice cream w/ red bean. Tea was served at the end of our meal as a cleanser. What I liked about Anjin was that some vegetables (corn, bell pepper, onions) came out w/ each order of meat, whereas at Gyu Kaku, you have to pay for that separately. Rice is 2 bucks a bowl here, but the portion size you get feeds two people. The downside was their ventillation system. At one point, the smoke was blowing directly into my face. They told me it was on, but something was wrong w/ the damn thing. It stopped after a while though. Service was great: very friendly and prompt. The place itself is small, so like I said before, either come early or prepare for a wait. "This is a Safety Alert from Cal Poly Pomona. University Police are looking for a suspicious person seen near the Engineering Lab, who is wearing all black and reportedly carrying a samurai sword. There are no reports of threats." "University Police concluded their investigation of a suspicious person wearing all black seen with a sword. Police confirmed that individual was NOT carrying a sword and is not a threat to the campus. Classes are still in session and business continues as usual. No further action is required at this time." I have no idea how they even came to that conclusion or if they even caught the guy. It was pretty funny though to hear someone saying "carrying a samurai sword" on my voicemail, but at the same time, you never really know these days with all the crazy shootings that have been going on recently. back up your shiet on a weekly basis. so far I've only tried the Rising Moon and Stout. Oh lordy lordy, I am so glad this week is over with. 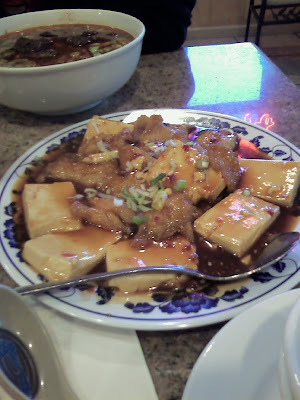 I also tried Peking Deli for the first time a few weeks ago and ordered the Fish Fillet with Tofu in Hot Bean Sauce ($10.95). Tea and rice were quickly brought out. 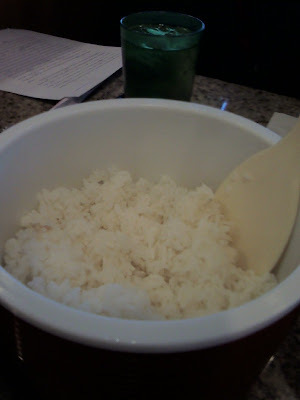 The container was big, but there wasn't as much rice as you'd think, but still it was a good amount for my friend and I. They used a little too much water when cooking the rice though. You get a bowl of soup along with your entree. I'm not sure if they do a soup of the day type of thing, but that day, I got the egg drop. The food came out really fast. I don't think we waited more than 10 minutes. I'm not sure if this is a good thing, but there was only one other person in the restaurant besides us, so maybe that was why... I wasn't sure what kind of fish they used, but it did have a familiar fishy taste that I enjoyed. The heat level was lacking though. 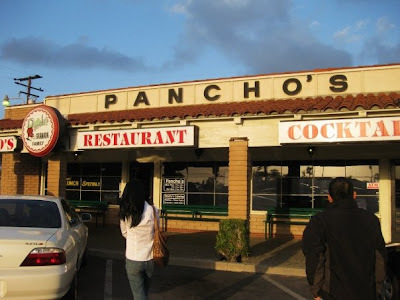 They marked it spicy on their menu, but it was more of a mild. My friend ordered the beef noodle soup ($5.95), which you can see in the background. They have a pretty extensive menu, and a lot of the dishes are in the $6.50 range, so you could come here with some friends and have a nice little feast together for cheap. And the food's not bad either.